“As I look at all the trends in sports medicine and how things are constantly changing to improve the athlete’s performance, one aspect stands alone as the most underrated attribute an athlete can develop. Without question, in my 30 years as a physical therapist, athletic trainer and strength coach, I have found that we underestimate the importance of vision. To realize just how important vision is, try testing athletes’ muscles with the athletes looking at their own muscle and then again with them looking away. They will immediately notice an improvement in strength. Another quick test is to have athletes evaluate their vertical jump with a downward gaze versus an upward gaze. The upward gaze adds a minimum of two inches to their vertical height. The old adage that the eyes drive the body is very appropriate for these two tests. The subject of eyes is in every aspect of my sports medicine program. It starts at the NHL combine where results of vision scores are taken under serious consideration during the NHL Draft. It has been shown that the single-best fitness score that correlates to the chance of making the NHL are results from the combine vision tests. During preseason testing, eye scores are again scrutinized by management and coaching staff. It is almost always a certainty that our best goaltenders and best face-off athletes score the highest. The eye scores that he is referring to involve more than just whether the athlete needs contacts or glasses to see 20/20 or better. Don’t let vision hold you or your athlete back from achieving his/her best. Be evaluated. 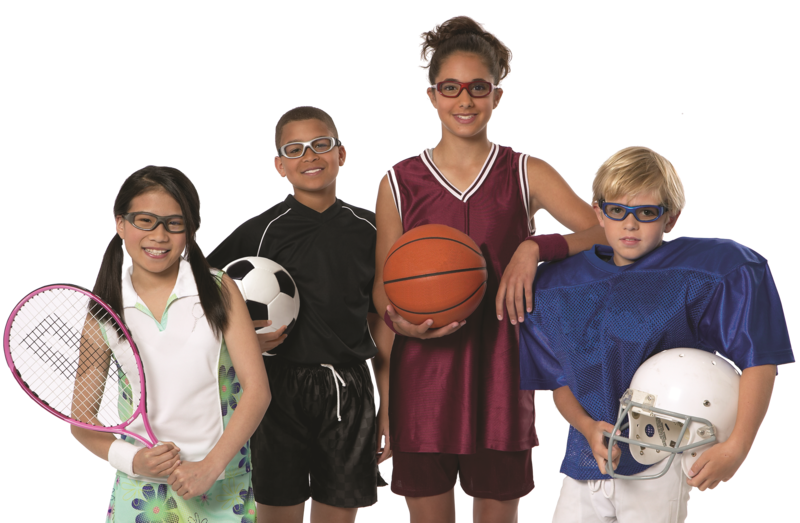 We can help improve your vision for sports. We have already done so for a number of athletes. Vision training decreases the frequency of concussions by 80% in football according to research. A Division I college football program compared the frequency of concussions on their teams from 2006-2009 that did not receive vision training to their teams from 2010-2013 that did receive vision training. In addition to the reduced number of concussions, the teams that received vision training also experienced less missed playing time due to injury. The study’s principal author concluded that vision training broadened the athletes’ field of awareness which helped them react faster to their changing environment to avoid injury-causing collisions. We have helped a number of athletes through vision training. Concussions have long-lasting effects. Football is the number one cause of concussions for boys’ athletics while soccer is the number one cause in girls’ athletics. Girls soccer produces the second highest incidence of concussions regardless of gender. If you or someone you know is playing a contact sport, please let them know that we can help them better avoid injury and play better through our vision training program. Eye injuries are the number one cause of blindness in children in the United States. Most of these injuries are sports-related. Young athletes are more prone to injuries because they are still developing hand-eye coordination, balance, reaction time and speed. According to a report by Prevent Blindness America, there are over 28,000 sports-related eye injuries every year that require emergency room visits. Basketball is the sport with the highest number of eye injuries in children between the ages of 15-24 years. In children younger than 15 years, the most eye injuries occur in basketball, water sports/activities, baseball/softball and gun-like activities. The National Eye Institute rates the following sports as being high risk for eye injuries: baseball, basketball, hockey, boxing, paintball, racquetball, softball and squash. Moderate risk sports include football, golf, soccer, badminton, tennis and fishing. 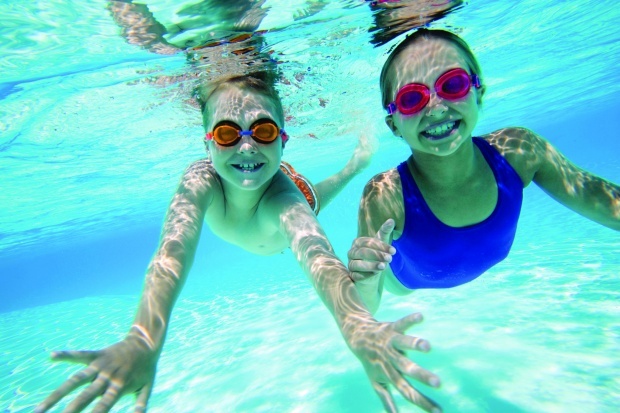 Low risk sports include diving, skiing, swimming, wrestling and cycling. Ninety percent of sports-related eye injuries are preventable. Prevent Blindness America recommends that athletes wear protective sports eyewear when participating in sports. To insure that your eyes are properly protected, use sports protective eyewear that is ASTM F803 approved. The American Society for Testing and Materials publishes protective eyewear standards. F803 is the strictest standard for protective eyewear. Impact resistant polycarbonate lenses should also be used. These plastic lenses are ten times more resistant to impact than regular lenses. Other important considerations include padding, size and strap length. Regular glasses should not be worn in the field of play. They are not meant to be protective, and can be a cause of major injury. In short, protect the only set of eyes that you have. Athletes like Bryce Harper (baseball), Marques Colston (football) and Justin Leonard (golf) do it. Could it help you? Sports-tinted contacts have been shown to help athletes recover vision faster in bright sunlight, achieve better visual recognition in bright sunlight and improve visual performance when alternating between bright and shaded conditions. This means that a batter who is in the shade looking out at the brightly lit mound will be able to see the pitcher’s release point and spin of the ball better as it moves from the sunshine into the shade. This also means that a tennis player playing on a hot, sunny day will be able to better pick up the tennis ball off their opponent’s racquet. By improving the ability to quickly and clearly identify objects in varying lighting conditions and against backgrounds of varying color, an athlete can improve sports performance. There are two ways to improve this skill: 1) Sports Vision Training (https://brighteyeandvision.com/e.d.g.e.-sports-vision.html) and 2) Sports Tinted Contacts (https://brighteyeandvision.com/sports-tint-contacts.html). Go to Sugar Land Eye Doctor to learn more.